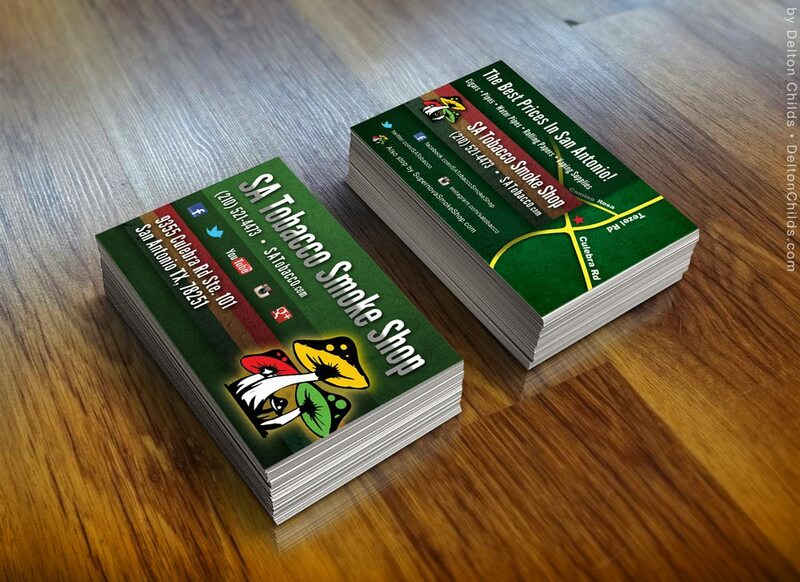 SA Tobacco Smoke Shop recently partnered with Delton Childs Media category exclusive client Supernova Smoke Shop. As part of their joint marketing effort, no pun intended, Supernova Owner Rabbi decided to have a new counter top card printed for their shop to include in bags when customers make a purchase an inside displays on the counter top to help promote social and offer customers a reminder they can take with them. We created a customized map in Adobe Illustrator to highlight the Culebra location and brought it all together in a clean and accurate design with all the necessary information in a style that fit the brand. Looking to have some graphic design done for your storefront! Contact us about your project today!